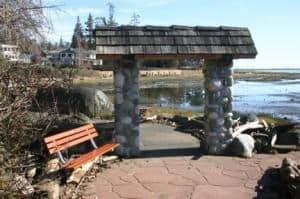 Filberg Park and the Heritage Lodge are located in the community of Comox, BC in the Comox Valley on Vancouver Island, Canada. 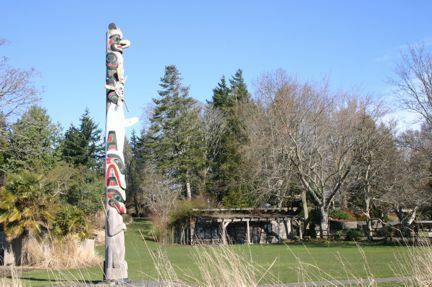 The park is spread out over 3.6 hectares (9 acres) and includes walking paths, ponds, a lodge, waterfront views, a tea house, Totem Pole and herb and flower gardens. Established in 1929 the lodge was first created as a summer cottage for R.J. Filberg and his family. They were a pioneer family who established themselves in the Comox Valley region working in the logging and forestry industry. The lodge quickly became a popular destination for the family and in 1939 the Filberg's moved in permanently - it became their primary residence. The grounds of the lodge were slowly developed over time. Today the grounds include a wide variety of perennials, annuals, herb gardens and rhododendrons. Surrounding the gardens are many mature trees and wide open grass lawns. The grounds are very well maintained by a group of local volunteers. 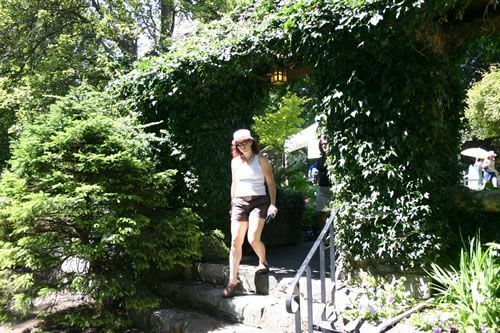 Throughout the grounds are a series of small walking paths. The walking paths connect sightseers with the tea house, lodge, a Totem Pole, monuments, some picnic tables and a storage shed. The Totem Pole (Tla Wa Sints Guy U Las) located in Filberg Park was created by a local First Nation carver. The Totem Pole includes four traditional First Nation figures - a thunderbird, whale, bear and a sunman. Near the Totem Pole on the waterfront is a bench and an awning which marks an access point leading down to the shoreline. From the shoreline one can enjoy fantastic views of the harbour and of Goose Spit. 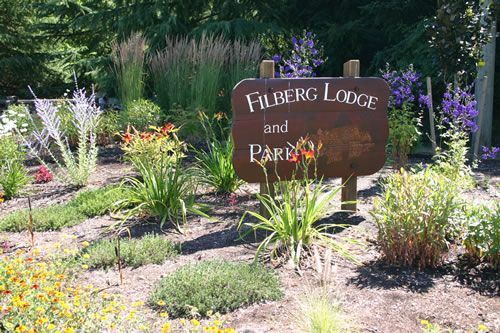 Filberg Park is best known in the region as an event destination because of the beautiful grounds, onsite facilities and marine scenery. Events such as weddings, fundraisers and festivals are held regularly in the park throughout the year. 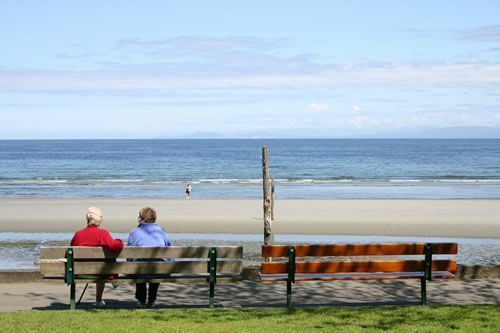 How to Get Here: Travel Highway #1 to the community of Courtenay, BC on Vancouver Island, BC, Canada. Travel the Inland Highway (Oceanside Route) towards the downtown core of Courtenay and cross the bridge. On the other side of the bridge turn right towards Comox Village. In Comox follow Comox Avenue to the end of the street and Filberg Park is on your right.